My 8th year riding in the American Diabetes Association Tour de Cure. It was based at the Topsfield Fairgrounds and rode around Eastern Massachusetts. 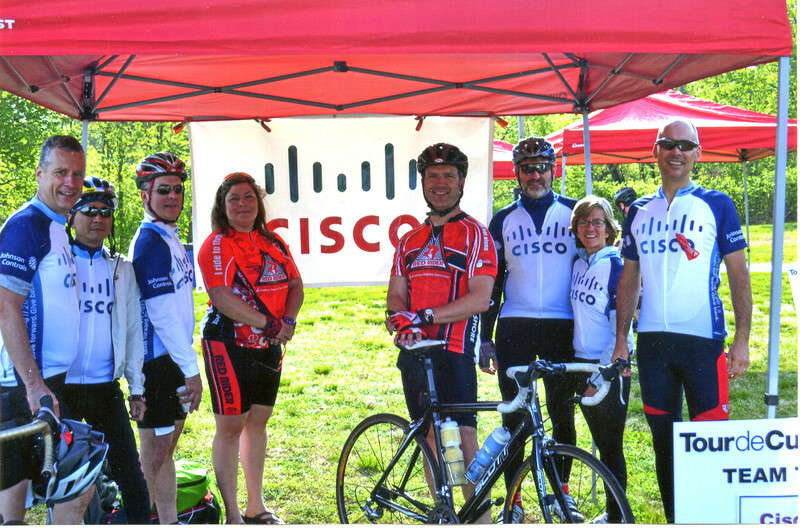 I rode the 63 mile route along with Team Cisco Systems. We had 10 riders this year and raised nearly $11,000 toward the cause. L to R: Mike Redden, Tin Nguyen, Mark Shepherd, Melanie Redden, Andrew, Mike Marion, Leigh Marion, Jim Brock. Missing teammates - Jason Novack, Bernie.